Rose and I traveled to Minneapolis in August 2010 and had the opportunity to educate ourselves with the history of the flour mills in the Minneapolis area. With big names such as Gold Medal Flour, Pillsbury, General Mills and others which have come and gone, who could resist a quick tour of the history of cereal (still one of my favorite meals)? Certainly not me, so off we went to explore the Mill City Museum along the Mississippi River in downtown Minneapolis. 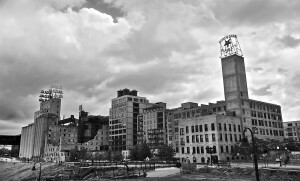 The Mill City Museum is built within the ruins of Washburn “A” mill, a mill that dates back to the mid to late 1800s. 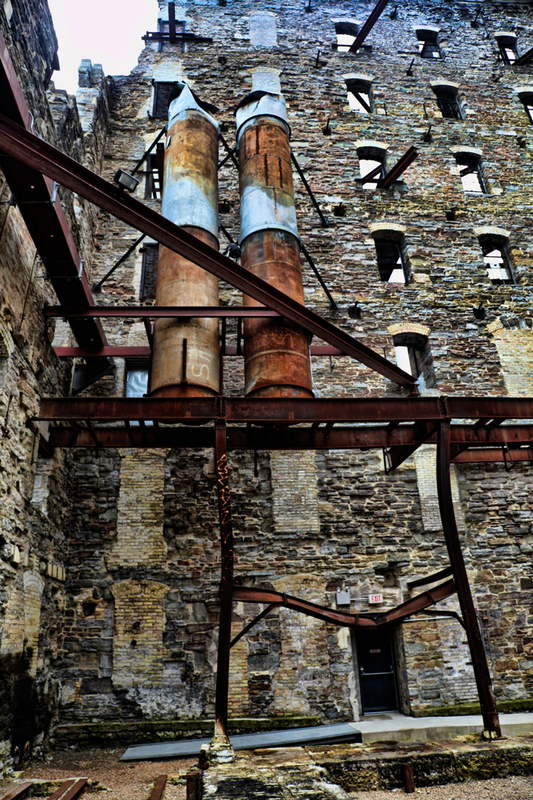 The mill had exploded over a century ago, then was rebuilt, then later closed and shuttered in the early 1960s. 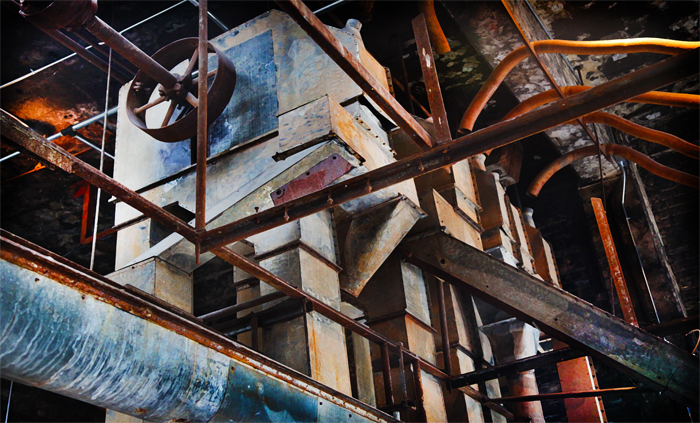 The factory sat abandon for nearly three decades before a large fire ultimately took out the majority of the rest of the mill. Remaining were the outer walls and inner concrete walls as well as much of the metal equipment and piping throughout the building. This location is a photographer’s paradise. Antiques everywhere. Each faucet, knob and electrical outlet is unique and very rustic. I love colorful photos and the above photo captures most of the color spectrum. Mill City Ruins Ceiling and Mill City Ruins B/W by Joey B. Lax-Salinas is licensed under a Creative Commons Attribution-NonCommercial-NoDerivs 3.0 Unported License. Permissions beyond the scope of this license may be available at http://www.joeyblsphotography.com.